Elon Musk is betting on China's growing market for electric cars as Beijing pushes the industry away from fossil fuel vehicles. The US giant will make its Model 3 sedans at the factory -- initially targeting 3,000 cars a week before ramping up annual production to 500,000 -- which it plans to have operational by the end of the year. 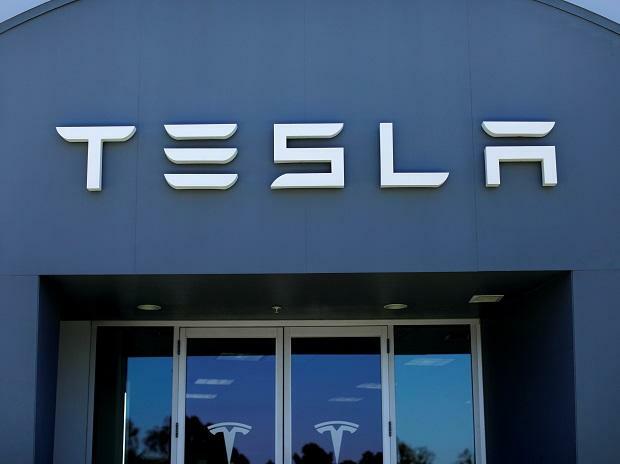 According to a regulatory filing, Tesla has secured $521 million from four domestic banks -- the Industrial & Commercial Bank of China, the Chinese Construction Bank, Agricultural Bank of China, and the Shanghai Pudong Development Bank. Tesla shares rose more than two per cent in after-hours New York trading. China is by far the world's biggest car market and sales there have been on an upwards trajectory for years, although they slipped 2.8 per cent in 2018. Sales of electric vehicles and hybrids have meanwhile continued to swell -- jumping 62 per cent last year -- but only make up just four per cent of overall sales in China. Tesla remains in the lead, but is followed by three Chinese brands -- BAIC, BYD and Zotye -- according to analysis provider Jato Dynamics.